Perhaps you’ve poked around the Twitter Analytics homepage and figured out you can track impressions and metrics by promoted or organic activity … and that’s about it. The good news is there’s much more you can discover in your Tweet activity dashboard — you’ve just need to know where to look. Twitter engagement refers to the retweets, follows, replies, favorites, and click-throughs your tweets get — including the hashtags and links those tweets include. Your Twitter Engagement Rate is equal to your tweets’ engagement divided by the number of impressions those tweets have made. On the “Tweets” tab, you can see Impressions, Engagements and Engagement Rate (Engagements divided by Impressions) for each tweet — both for paid and organic posts. As stated above, Engagement includes all activity on the tweet: retweets, follows, replies, favorites, and all clicks from within the tweet. In the example above, we see a tweet from HubSpot received an engagement rate of 0.8% — or 47 engagements divided by 5,836 impressions. We found that to be particularly high: According to 2018 industry benchmarks by Rival IQ, the median Twitter engagement rate across every industry is .046%. 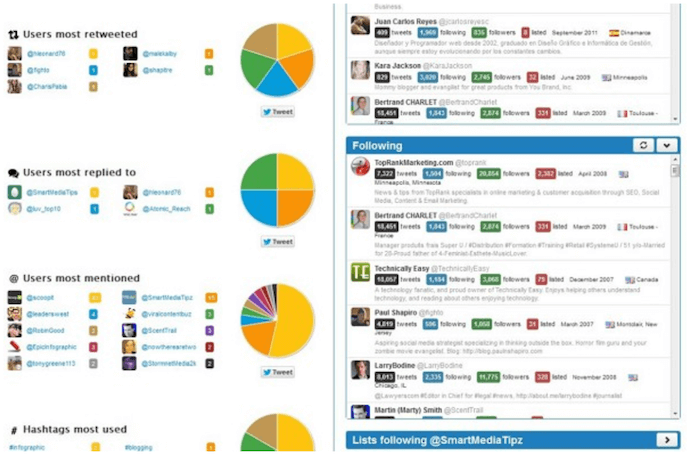 Use this as a point of comparison when managing your own Twitter Analytics to determine how your tweets are performing. Understanding which content items get the most engagement on Twitter is huge. If you can even commit 10 minutes a week to recording your top five or 10 tweets by engagement so you can start seeing trends over time — and then applying those insights to future tweets — you’ll be able to better connect with your audience. Twitter Impressions are the number of times a tweet appears on a user’s timeline. A tweet’s impressions are not limited to users who follow you, but this number also doesn’t filter based on who has interacted with the tweet. Impressions are not to be confused with reach. In the previous section, I mentioned that a tweet’s engagement rate is equal to its total likes, replies, clicks, follows, and retweets divided by impressions. Your Twitter Analytics dashboard lists each tweet’s total impressions, but what are impressions, exactly? As stated above, a new impression is counted on a tweet every time that tweet shows up on a user’s Twitter feed (also known as their “timeline”). So, if 30 of your followers logged on Twitter and saw your tweet, that tweet has made 30 impressions. The impressions metric doesn’t consider how, or if, those users interacted with your tweet. Therefore, impressions alone should not be a key performance indicator (KPI) for your social media activity. But, because they are divided into the number of engagements your tweets have gotten, impressions are still an important number to know when examining your Twitter Analytics. “Reach” is a term you might hear when analyzing your Facebook Page’s performance. Well, you can also measure reach on Twitter, and it has an interesting relationship with impressions. If you have 300 followers, but only 190 of them saw your tweet, your impressions will be at 190 while your reach sits at 300. Why? Although you made 190 actual impressions on your followers, your tweets have have the potential to reach as many people as follow you — in this case, 300. Here’s a tougher one — let’s say you have 300 followers, 190 of them saw your tweet, one of those people retweeted you to 50 of their own followers, and 10 of those followers saw the retweet. Drumroll please … Your impressions will be at 200 while your reach sits at 350. Why? You got 190 impressions from the original tweet, as well as 10 more people who don’t follow you but saw your follower’s retweet (190 + 10 = 200). However, your tweet had the potential to reach your own 300 followers as well as the 50 people who follow the user who retweeted you (300 + 50 = 350). Based on the examples above, you can probably tell that reach indicates potential, whereas impressions indicate actual performance. Does that mean a tweet’s reach is less important than impressions? Not necessarily. 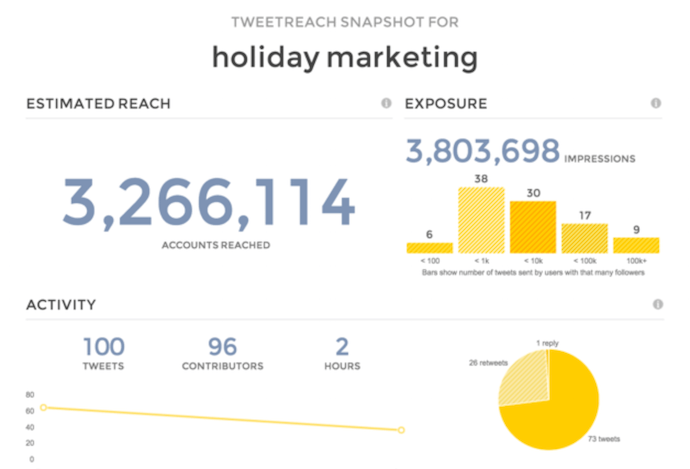 Sure, you might not see your reach displayed on your Twitter Analytics dashboard, but knowing how much exposure your Twitter account is capable of can help you draft accurate goals for the year and adjust your social media strategy to, well, “reach” them. Tweet Activity is a section of your Twitter Analytics dashboard that allows you to see various metrics related to your tweets’ performance in chart form. You can see Tweet Activity for all of your tweets over a set time period, or for a specific tweet since it was published. You can analyze tweet activity two different ways: in groups of tweets during a set date range, or by specific tweets since their creation. Here’s more information on each method. 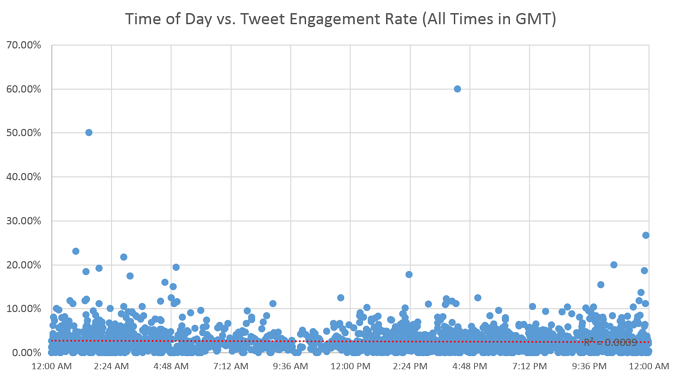 Then, to the right of the graph shown above, you’ll see how your engagement rate, total link clicks, and total retweets progressed over the that time period. These three graphs are shown below. In the charts above, each bar or point on the graph considers the total from each day. Consider the green Retweets graph directly above this paragraph. If that Twitter account received 73 retweets total on May 11, it’s considering every tweet posted that day. Perhaps three tweets were posted — the morning tweet earned 10 retweets, the afternoon tweet earned 37, and the evening tweet earned 26. This makes the 73 retweets listed at the end of that graph. Twitter used to allow you to view a tweet’s engagement over the course of a day, and I personally think it was a mistake to remove that feature. I hope they bring it back in an update soon so users can analyze the best time of day to tweet from their account. Clicking this icon will open a window showing you this single tweet’s total impressions, engagements, likes, link clicks, and more since the tweet was first posted. This data might just be for one tweet, but don’t underestimate its importance. Examining these individual results, tweet by tweet, can give you insight into which types of tweets work and which don’t. For example, if you find tweets that promote videos from your YouTube account tend to get more impressions than others, you can invest more into video content as a result. 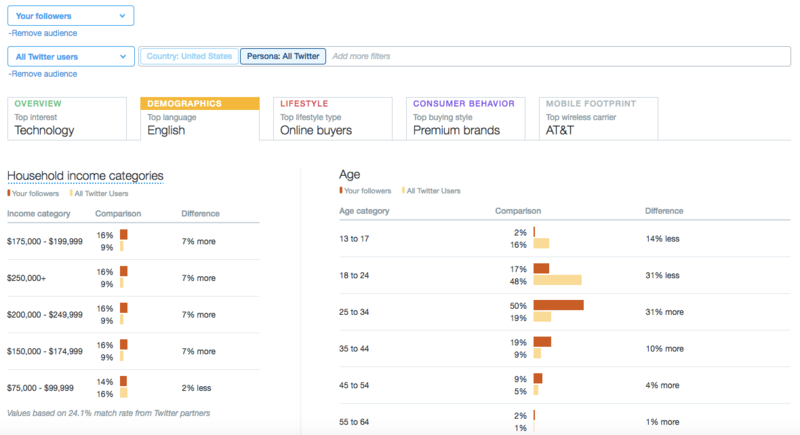 Still other third-party analytics tools can help you do a deeper dive into content properties that Twitter Analytics won’t give you as much data on. Want specifics on hashtag performance? Maybe you want more information on the most influential Twitter handles in your industry. These are the metrics you’ll need outside help to find. Below are some of the most widely used Twitter analytics apps and the types of data they’re best for reporting on. Although most of them have paid plans that afford you multiple features, each of these tools offer free services that can give your Twitter game a boost of intelligence. TweetReach is a free reporting tool that allows you to see how far your tweets and hashtags have traveled and who’s engaged with them. 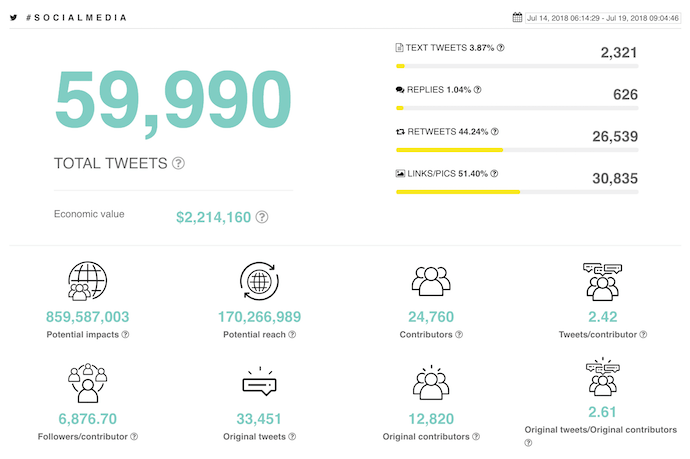 You can also get “snapshot” reports of any user, hashtag, or tweets with certain keywords in them so you can understand what’s being talked about in your industry in real time. Klear focuses specifically on influencer marketing, tracking Twitter’s most influential users and helping you determine who’s making the most noise and greatest impact on certain topics of conversation. Compatible with Instagram, YouTube, and Twitter, the tool makes it easy to find, analyze, and manage your relationships with the people you want your brand to be associated with on social media. Keyhole takes Twitter users on a deep dive into the hashtags and topics they might like to create entire social media campaigns around. 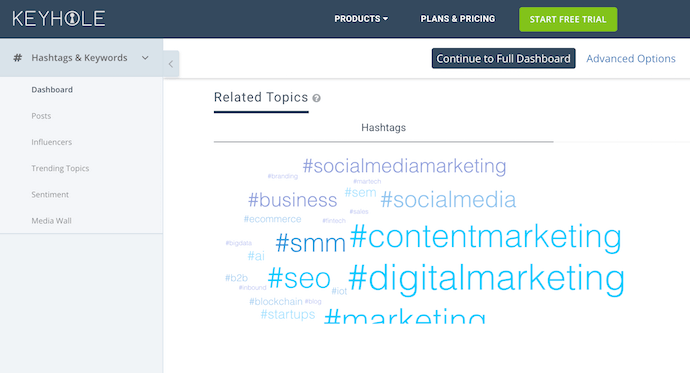 Start by performing free searches for hashtags, accounts, and topics you want to track. Then, for a paid subscription, use these insights to set up monitoring programs so you can find out who’s saying what about you, your event, or your market. Tweet Binder is a campaign-focused analytics tool that allows you to view activity behind any hashtag, user, or keyword for free. Under its paid plans, the product gives you both Twitter and Instagram “walls” where you can see the impact of your own campaigns, making you a smarter promoter and event marketer over time. Tweet Binder’s free hashtag report, shown above, gives you an idea of just how easy it is to see the data behind various Twitter trends. 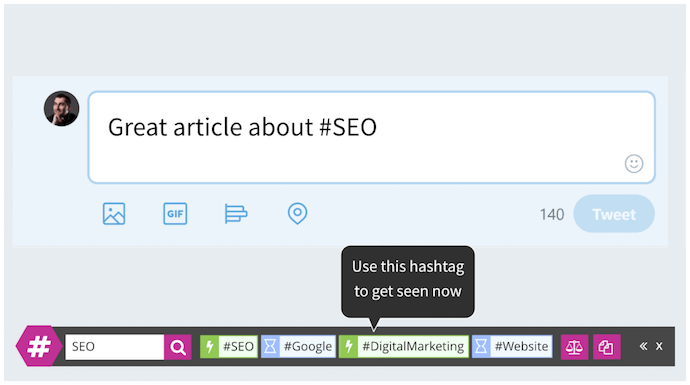 RiteTag doesn’t just give you engagement metrics behind a hashtag — it uses that data to give you real-time suggestions for which hashtag to use in each tweet you create. The platform integrates with a variety of marketing tools and social networks, allows you to create “tag sets” to refer back to, and recommends hashtags based on both text and visual media you want to post. 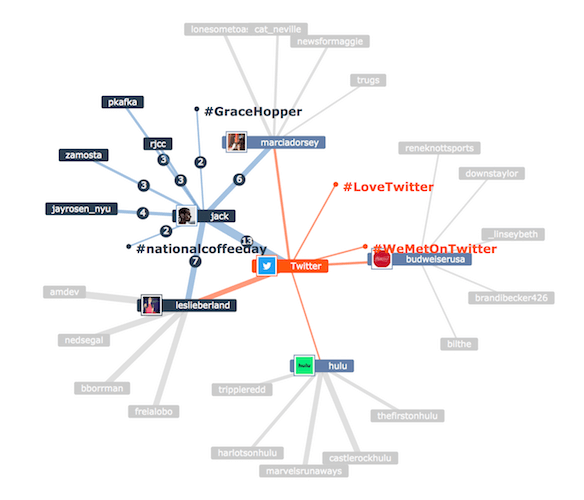 Mentionmapp is one of few Twitter analytics tools that presents conversation data in “map” form. Most of the tool is free to use under the “Seeker” platform, showing you not just who’s talking to whom, but who’s expanding on which topics and where a topic began. The map you create stays updated to Twitter trends as they happen. 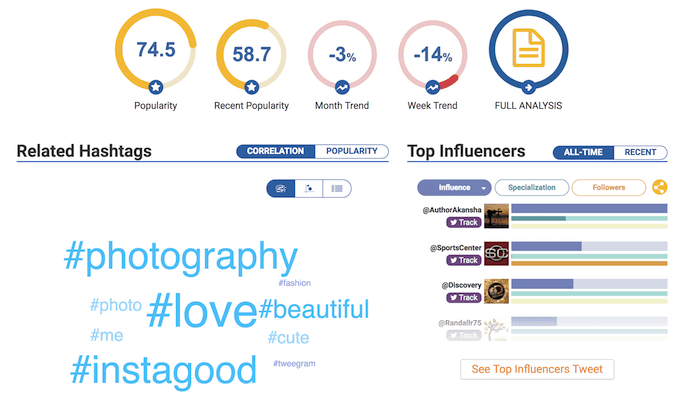 Hashtagify, as you might’ve guessed from its name alone, is a hashtag analytics tool that serves up a dashboard of information related to any hashtag you search. 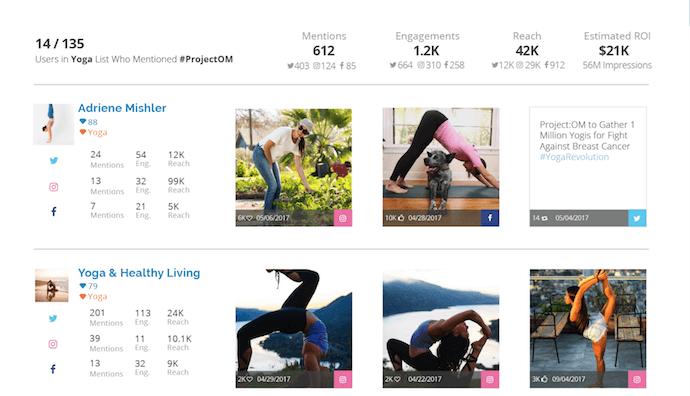 The product works for both Twitter and Instagram, organizing its data into various visual categories so you can properly decide with hashtags and topics you should get in on. As with each tool on this list, the free version of Hashtagify offers the dashboard above and a lightweight version of the full suite of analytics — which is available through paid plans. No matter where you track your social media performance, marketers now have access to increasingly granular data about their Twitter account. The most useful feature I’ve found in Twitter Analytics is the ability to export data from the Twitter API as a CSV file. To export your data from Twitter, select the timeframe you’d like to use, and click the “Export Data” button in the top right corner of your Twitter Analytics Dashboard. For more ideas, download HubSpot’s guide to getting more Twitter followers.